Roxana Illuminated Perfume: Gem-toned bee lockets are back! Gem-toned bee lockets are back! 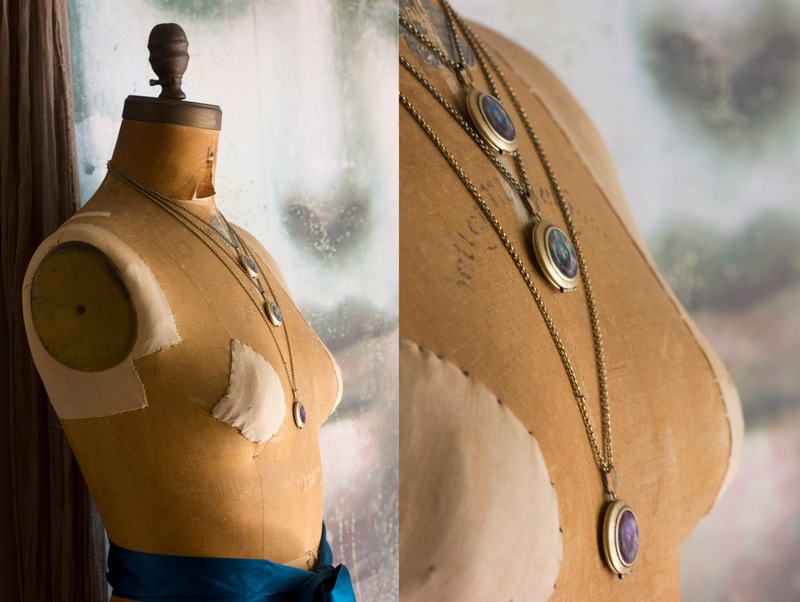 The little round lockets are back in emerald green, teal and purple. I'm working on a little scent insert for them but haven't quite perfected it yet. 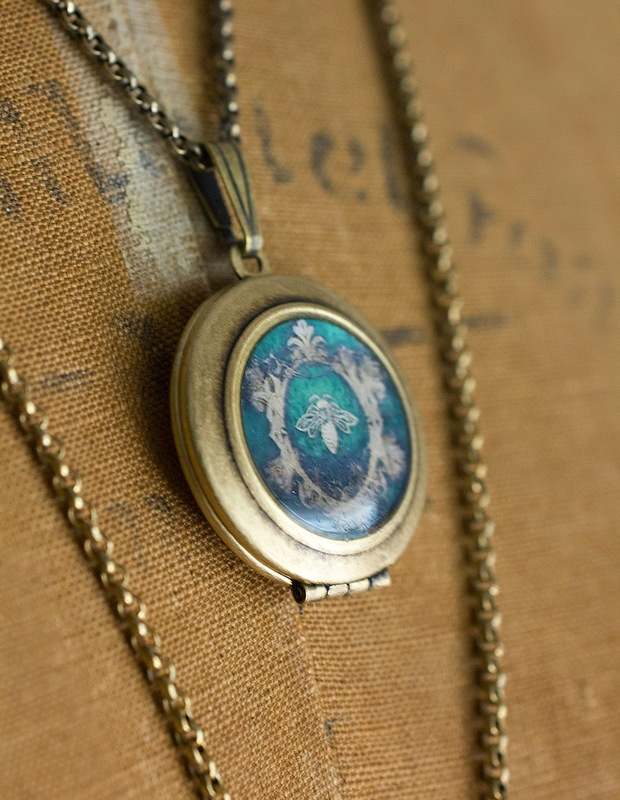 Also back in stock are the Purple bee and Chiaroscuro perfume lockets. In the meantime Greg and I are finishing up the Vespertina Lookbook to coincide with the release of the Eau de Parfum, more on that in the morrow.